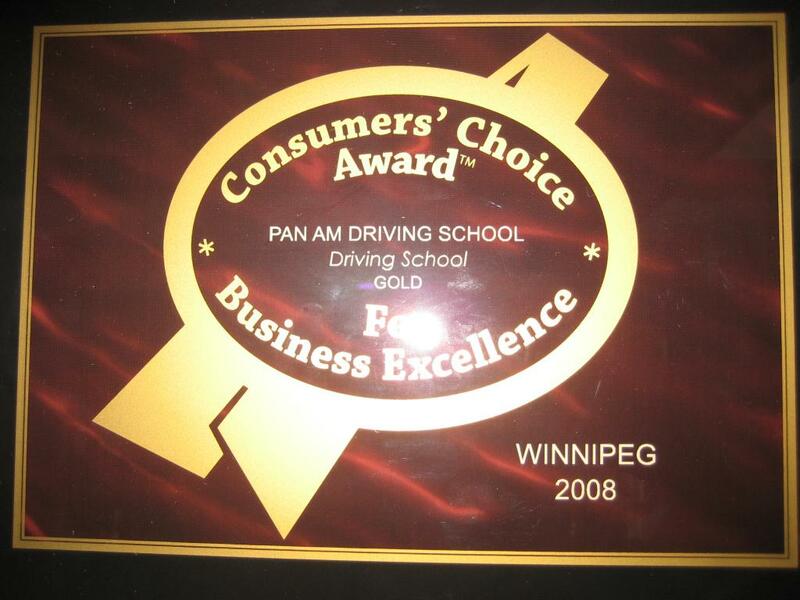 WINNER OF 2007, 2008, 2009, 2010,2011 & 2012 CONSUMERS CHOICE GOLD AWARD AS THE BEST DRIVING SCHOOL IN WINNIPEG. 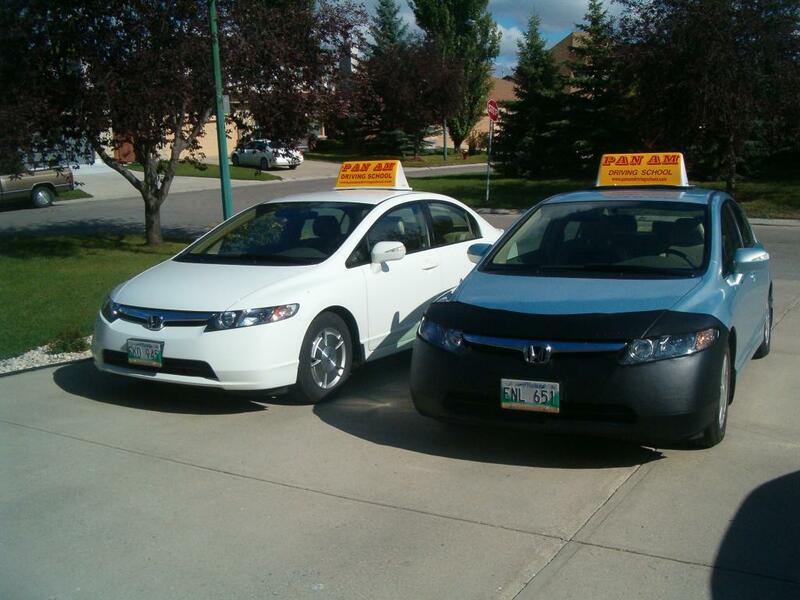 Pan Am Driving School is located in Winnipeg, Manitoba, Canada. It was established in 1979. We provide instructions for Classes 4 and 5 applicants. We have taught new learners of all ages and all kinds of ethnic backgrouds. We also teach High School Drivers Ed students through the Manitoba Road Safety program. 9. We also prepare you for your Medical re-testing. Written tests will be conducted by appointments only. Gateway - 40 Lexington Pk. Bison - 15 Barnes St. LOOKING FOR A CAREER IN DRIVER TRAINING? We now have three Honda Civic Hybrids in our fleet. < I have always had a fear of driving and would suffer panic attacks at the very thought of getting behind the wheel of a car. Paul helped cure my phobia and made me feel at ease. Right from the start he was friendly, easy going yet firm and made me feel comfortable. He is an excellent instructor who believed in me and boosted my confidence. I never believed that I would have gotten my license as fast as I did, even though I didn't feel comfortable with trying out the road test just after 5 lessons. But Paul 'knew' I was ready and paid no attention to my procrastination. I will always be grateful to him and although I still feel somewhat anxious behind the wheel I know that I will be a good driver. Tannis T.
We want to thank for all the wonderful work and effort you put into teaching our son, Dan. Right from the start you had one goal: to ensure that Dan achieved success in his road test. We feel that your focus on this goal, facilitated his achieving success in the most timely manner possible. Dan appreciated your supportive, friendly and patient teaching style. taken driving classes with Paul will bear me witness. Thank you for your instructions before I took my driving test. They were well worth it. My friend is also thinking of taking a driving test this summer. I referred your name to her. Let me once again say thank you for my recent success on the road test. As I told you already, you actually showed me those small but important details about driving which your predecessors did not show me. Anyway, I do appreciate your lessons. I live in Calgary but I went to Winnipeg just to take lessons from Pan Am. Then I went back there again for my Class 4 as well. I drive a taxi in Calgary now. Thanks.